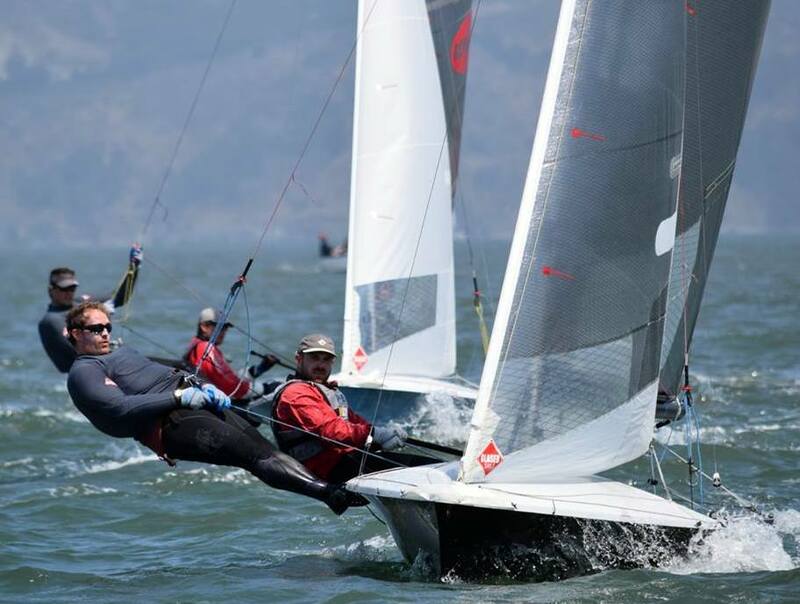 Mike Martin and Adam Lowry got out front early and stayed there through eleven races to win the 505 North American Championship 2018 in San Francisco, CA. They built a 20 point margin over Howard Hamlin and Andy Zinn in second. Ted Conrads and Jeff Nelson had a strong final day and finished third overall, while Bermuda Olympian Jesse Kirkland and Reeve Dunn were holding strong at second over three days of races, but slipped to fourth. The top three teams all had World Champions aboard, with the event boasting a total of seven. Kirkland recorded 11 top 10 finishes in the 23 boat fleet, winning the third race and finishing second in the first.